IDEA NET BALANCE CHECK : Hi, friends are you searching for the methods for idea internet balance checking? Don’t you know how to check the data balance in idea? Want to know the idea data usage? Ok from now onwards don’t worry about them because we are providing the solution for those questions raised to you and we also discussed about some important idea USSD codes. Before going to check your data balance you should know about the USSD codes. USSD means Unstructured Supplementary Service Data and it works as a protocol to provide the connection between the subscriber and the service provider’s computer. This USSD codes are used by the user to get the basic information like balance enquiry, latest offers, prepaid, postpaid services, VAS, and much more services. Nowadays so many members using this internet facility but some off the people don’t know how to check the remaining data balance in their phones so after the usage of data balance some of them can lose their main balance. To avoid these problems we clearly explained the procedure for checking the data balance in your phone. Just you can follow the simple steps described below here. 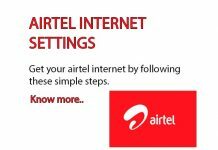 Here you can follow these steps to check the data balance in your idea cellular mobile. Take an idea network mobile with clear display. Wait for some time until the response for your request. Now an alert message will be displayed on your mobile screen with remaining data balance and validity. Initially connect the modem to your personal computer or laptop. Run the software by clicking the icon in the desktop. Go for the USSD option at the top of the net setter. Or you can manually enter the USSD code like *125# as required for the data balance checking. Then dial the number and wait for the response. After some time you will get the reply message with remaining balance and validity if the data. Here you can see some of the useful USSD codes use for various purposes, some useful messages for idea customers and they are listed below in the table. 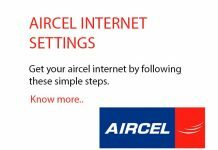 For more quires you can visit the official website as given www.ideacellular.com..